Michelle made it on to the cover of the Mann Report Nov./Dec. 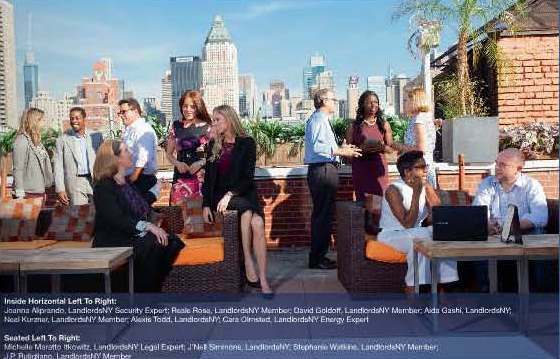 2015 Residential Issue as part of the feature article on LandlordsNY, in which Michelle is quoted because she is LandlordsNY "Legal Expert". December 14, 2015: This post originally appeared on the LandlordsNY blog, where Michelle Maratto Itkowitz is the "Legal Expert". Answer: You have to allow the husband’s name on the lease if he resides in the apartment as his primary residence. “Does a tenant in a Rent Stabilized apartment have the right to add their spouse's name to the lease? Thus, there are two pieces of information that you need from the tenant: (1) are they legally married; and (2) is the spouse living in the apartment as his primary residence. I do not see why it would be wrong for you to specifically ask both those questions, and to request proof for the marriage part. If people on this planet were more trustworthy, I would be out of a job. For argument’s sake, let us say this guy is not her husband and he doesn’t live there yet, but this is the tenant’s way of handing the apartment over to a friend. Then she would, in essence, be choosing your tenant for you and cheating you out of a twenty percent (20%) vacancy increase.